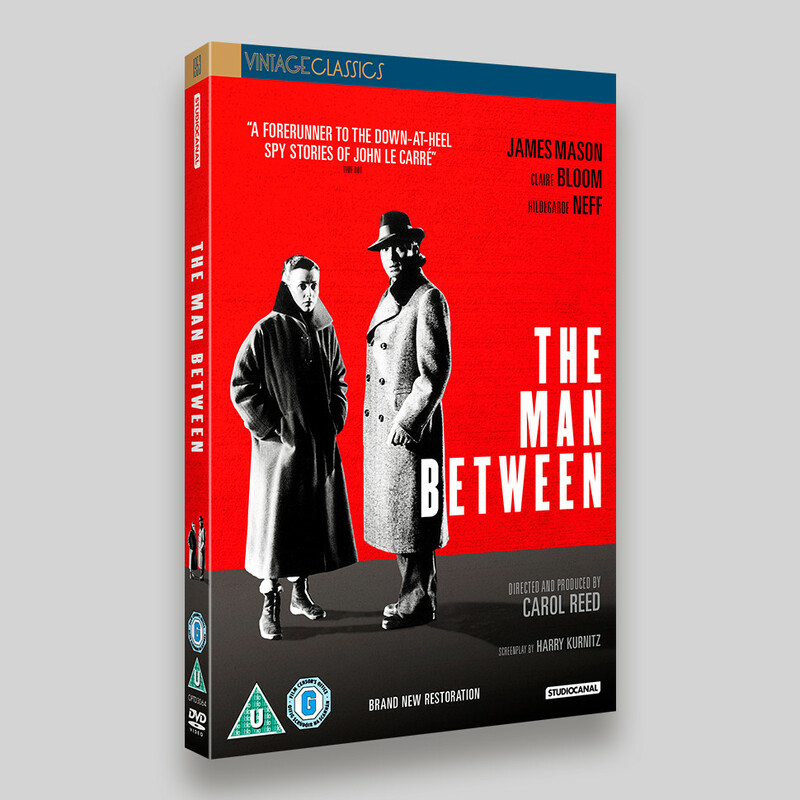 A digitally restored Vintage Classic from Studio Canal, The Man Between is a later collaboration between James Mason and Carol Reed, often considered a companion piece to The Third Man thanks to its atmospheric portrayal of a city struggling to survive in a grim post-war reality of poverty and mistrust. 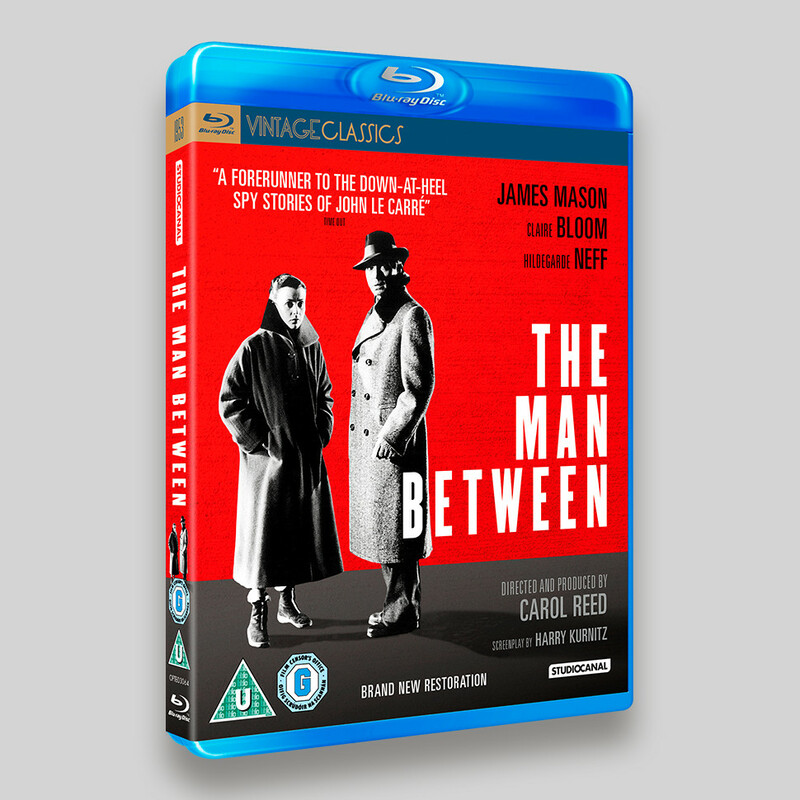 The action is here transposed to a divided Berlin, and to the beginning of the Cold War. 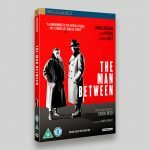 Unlike the devilish Harry Lime, Mason’s world-weary dealer Ivo Kerr is ultimately still a decent man, compelled by his love for a naïve schoolteacher to make one last misguided trip through the Brandenberg Gate, with potentially tragic consequences. Trying to make the most of a limited set of original assets, the original visuals for this sleeve featured an original poster (that proved unsuitable to use) and a much more dynamic angled composition with only James Mason, the title treatment and plenty of negative space. However, the approved sleeve moved the design away from that concept and has a much more structured sleeve. It proved to be a blessing in disguise, as the design progressed more contractual text was added, losing most of balanced negative space, a result that would have made the original dynamic design unfeasible. 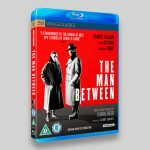 The Man Between is out on Blu-ray and DVD on Jan 2nd 2017.